Wales is a country blessed with over 750 miles of coastline, 398 natural wild lakes, 90 man made lakes and countless spectacular flowing rivers making it a very popular place for many keen anglers. 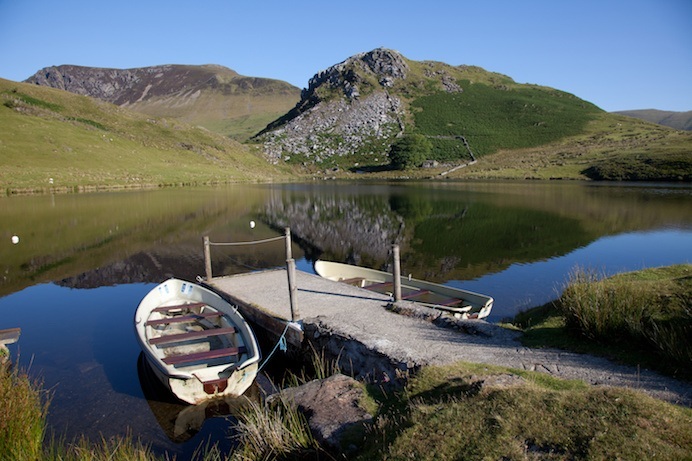 We believe fishing in Wales represents some of the best angling in Britain! 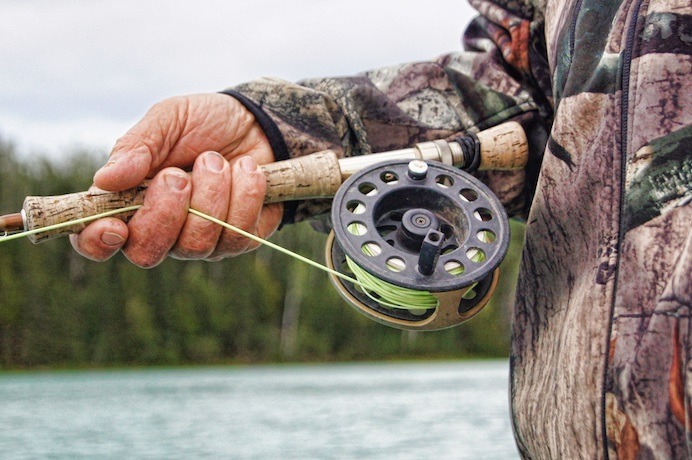 From catching bass on the famous Pembrokeshire coastline to carp fishing on the Eastern Cleddau river, Wales has something for everyone to enjoy, whether your preference is coarse, game or sea fishing. This directory has a collection of handy resources for all anglers across the UK and will benefit everyone from beginners to the experienced angler. It covers all aspects of fishing from sea fishing to coarse fishing and includes sections on where to fish in Wales and where to stay whilst doing it, fishing tips & tactics, where to buy your tackle, information on fishing tuition and fishing licences & insurance. This section is dedicated to showing you where to fish in Wales. The resources show you the best hot spots and give information no matter what your preferred style of fishing is. Perhaps you're looking for shore marks around the coast of Wales, want to read up on prime game fishing spots on the River Teifi in West Wales, or the best spots for carp fishing in Wales - you can find all this information in the resources listed below. Where to fish segmented by Welsh counties. Sea fishing in Newton in Porthcawl, South Wales - a great venue to fish especially in rough weather. Prime fishing on the River Teifi in West Wales. Coarse, game and sea fishing in Wales. Sea fishing areas in Wales. Maps of sea fishing shore marks around the coast of Wales, game fishing spots, mixed coarse fishing spots, coarse fishing spots, all in Wales. Where to fish for sea bass around the coast of Pembrokeshire. 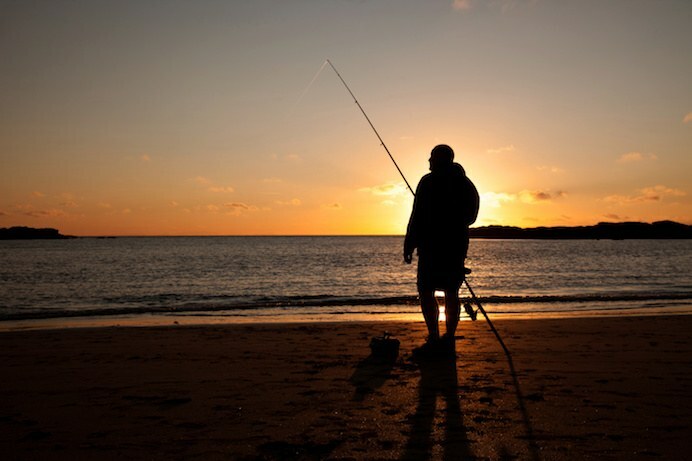 The top 8 surf beaches for bass fishing in Pembrokeshire. Free fishing locations in the Welsh region. Wales has a whole range of accommodation on offer for those visiting the region on a fishing trip. From self-catering caravans, cottages, and B&Bs to hostels, campsites and glamping pods. There is something for everyone and for all budgets. Here are a few resources to help you find the right accommodation. Fishing in Pembrokeshire? Try our holiday parks for inexpensive self-catering holiday lodges and caravans with a range of excellent on-site facilities. VisitWales.com has a comprehensive accommodation search. Search by the type of accommodation and region. 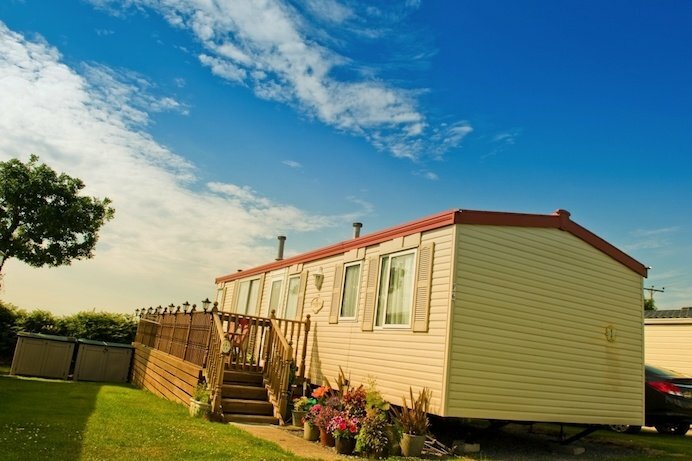 For fishing along the Ceredigion coastline or the majestic river Teifi, check out Ocean Heights Leisure Park or The Village Holiday Park - holiday lodges and static caravans with 5-star facilities. Stayinwales.co.uk offers a clear and an easy to use website to search for accommodation in Wales. Search for accommodation on Wales Tourists Online. If you're looking to learn or improve as an angler then there are various courses out there for all fishing methods including trout fishing, fly fishing, and sea fishing. You can even find specific training such as casting lessons for fly fishing. Perhaps you're planning a trip to an unfamiliar area and need a little assistance - one way to reap the benefits of local knowledge is to hire a local fishing guide to show you where to fish and what bait and tackle to use. Explore the section below to find out more. North Wales Fly Fishing School. Guided sea bass fishing in Pembrokeshire. Fly Casting Tuition with Gareth Lewis, across the UK including Wales. Abersoch Angling Sea Fishing Tuition. Lee Watts Fly Fishing tuition and guided trips, based in South Wales. Frank Williams Fly Fishing Lessons in South Wales. David Thomas Fishing Guide operates in the rivers of West Wales. No matter how many fish you've caught or how many years of fishing you have under your belt, there is always something new to learn or to try. In this section, you'll find out what fishing methods are working, what bait to fish with and what tackle to use. We encourage you to sign up to a fishing forum. The forums are a great way to learn about a fellow angler's experiences (good and bad) and great way to get your questions answered by anglers who have been there and done it! You be surprised at what you can learn. Carp fishing techniques to help you catch carp. Help and tips on pike fishing. Everything you need to know about bass fishing. Five ways to catch a bass. Methods, tactics, reports and carp banter on the carp.com forum. A list of fly fishing forums, tips and tactics, where to fish and more. All aspects of sea fishing including sea fish, reels, rods, baits, books and knots on the Sea Fishing Forum. A one stop shop for coarse, carp and sea fishing tips. Sea fishing tactics covering beach, pier, rock and estuary sea fishing from British Sea Fishing. With the growth of the online marketplace, buying fishing equipment, tackle and apparel is now even easier than ever. There is such a huge variety of fishing related products out there and all manner of gadgets and equipment to add to your essential fishing list. From bite alarms and specialist fishing reels to pop up bivvies and fishing camp beds the below sites will cover it all. West Wales Tackle & Country Store in Carmarthen, Wales is a traditional country store and tackle shop. Garry Evans Tackle Centers, based in South Wales, have over 40 years experience in providing quality fishing gear. Lionels Tackle Shop is located in Buckley, in North Wales. Visit them in-store or order online. Tackle Box is a UK based specialist fishing tackle website with a great selection of gear. The Essential Fly are online fly fishing tackle specialists. Nathans of Derby offers premier angling gear online with next day delivery. 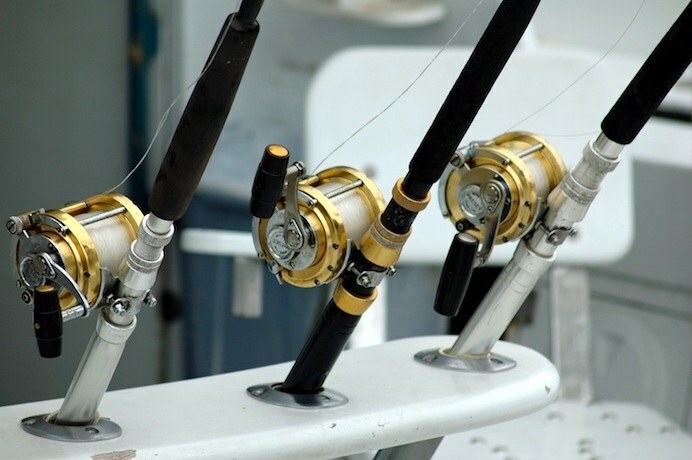 Ocean Tackle Store specialises in sea fishing tackle and offers online ordering. Tackle Fanatics a busy online tackle retailers, huge carp selection. Based in Scotland, Grays of Kilsyth is a fly tackle shop that specialises in needle tubes. It offers free worldwide postage on all orders. Angling Direct is one of the biggest UK online fishing tackle shops. Offers free delivery on orders over £25. All you need to know about buying a rod licence in the UK. From when you need a licence to the types of rod licences available, you'll find all this information via the following link. Also see below for fishing insurance which will cover for a trip cancellation, flooding disruption, personal property, public liability and more. Gov.uk provides all the information needed about the types of rod licences and buying a rod fishing licence in the UK. The Post Office (where you can buy your fishing licence) provide some useful information. Anglers First Insurance provide fishing insurance cover for you and your fishing tackle. E&L are niche insurance specialist who offer fishing insurance. Fishing Care provide specialist angling insurance that covers yourself, your equipment and accessories. Natural Resources Wales has information about free rod licences for kids. We want to continually improve our resource directory to help anglers across the UK. If you want to recommend a website or resource that you feel should be in the directory then please share it in the comments below. Thanks!